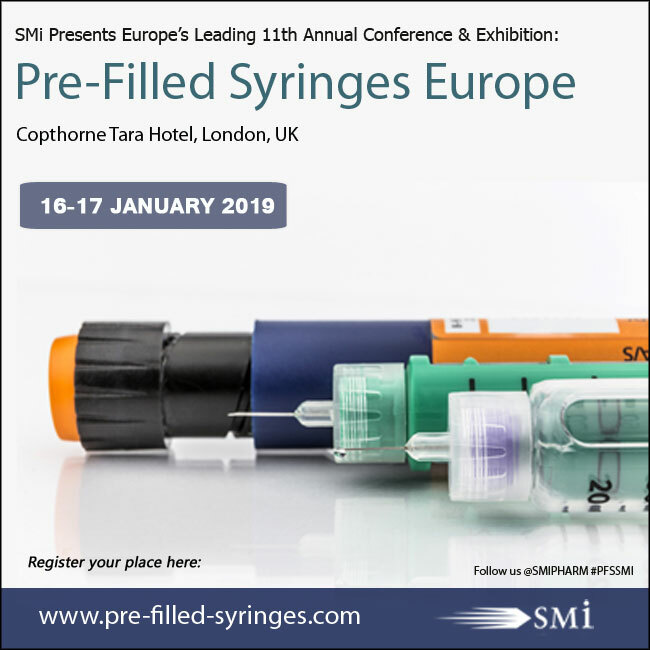 SMi Group are delighted to have James Mellman, Device Manager, Novartis, Co-Chair the 11th annual conference and exhibition on Pre-Filled Syringes & Injectable Drug Devices when it returns to Central London on 16th and 17th January 2019. James is a device manager for Novartis in Basel, Switzerland. His main responsibilities include developing primary packaging systems for combination products and supporting new technologies. He has worked on a multitude of injection device platforms including pre-filled syringes, needle safety devices, auto injectors, and patch injectors. He has also helped to build and implement a renovated CCIT strategy for the Novartis Group. Before Novartis, James worked at Pfizer in their Devices Center of Excellence in Cambridge, UK (2008-2011) and Nutricia in their Advanced Medical Nutrition Division HQ in Amsterdam, NL (2011-2014). He received his PhD from the University of Florida in Materials Science & Engineering in 2007 specializing in biomaterials. In the run-up to the event, we caught up with him to discuss current industry hurdles and the upcoming conference. From the answers provided it is apparent that the growing usage of prefilled syringes and technological advancements in auto-injectors are key factors driving the market today. As well as Co-Chairing Pre-Filled Syringes Europe alongside Anil Busimi, Strategy and Innovation Global Product Manager, SCHOTT will also be leading an industry-led panel discussion with GSK, and MSD. The event spotlight on regulation will also include an exclusive keynote address from the MHRA. What is your area of expertise within the Pre-filled Syringes market? What do you hope to gain from this meeting? The full interview is available online in the event download centre.